Newcomer Family Obituaries - Franklin L. 'Frank' Weidaw 1949 - 2019 - Newcomer Cremations, Funerals & Receptions. 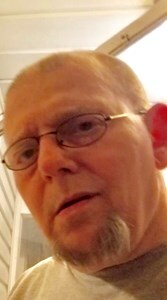 Franklin L. "Frank" Weidaw, 69, passed away April 8, 2019 at his residence after a long battle with cancer. Born in Akron to Paul and Mary Lou (Moran) Weidaw, he was a lifelong Springfield Township resident. Frank enjoyed golfing, scuba diving, mountain biking, piloting, spending time at the casino and traveling. He also loved working as a counselor for the youth group at Springfield Assembly of God as well as spending time with his family. Supporting many charities was very important to him. In addition to his parents, he is preceded in death by his brother, David Sr. He will be sadly missed by sister, Susan (Rachel Setree); sister in-law, Linda; nephews, David Jr. (Nikia Moore), Jonathan (Rachel); Buddy, his feline companion; great nieces, great nephews and friends. The funeral service will take place Wednesday, April 17th at 6:00 pm at Newcomer Funeral Home, 131 N. Canton Rd., Akron. Friends may call for two hours prior to the service from 4:00 to 6:00 p.m. Private interment at Hillside Memorial Park. Those who wish may make memorial donations in Frank's name to the charity of their choice. Add your memories to the guest book of Franklin Weidaw. Frank was an amazing guy. Your care and devotion of him was an inspirational , exceptional testament of love. It was an honor and privilege to know him. He will be missed.